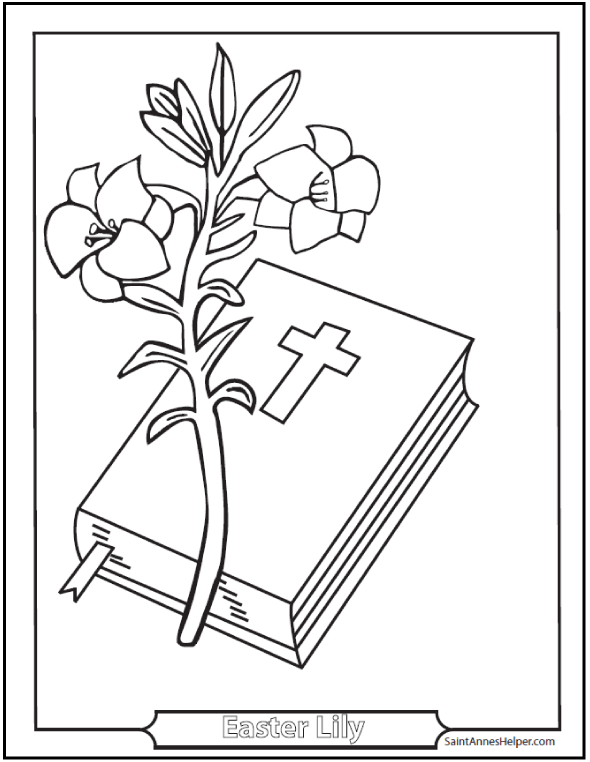 This Easter lily coloring page also shows a Bible. Children love the Bible stories about Easter morning! This PDF prints 8.5x11" single sided. Color the background so the lily can be white for Easter!